The old view of a concrete prefabricated garage was of a utilitarian building, without any appeal, purely functional. The Lidget Compton range changes all that. We provide perhaps the biggest range of options available to customise your garage, and then the ultimate option – that of a bespoke building, designed by us to your specification and manufactured, delivered and installed by us. So, click Customisation Options to see the full range. If you can’t find the building you want, check out Lidget Compton Design & Build. Or, if you still can’t find what you want, please talk to us. Our standard building is supplied with a Galvanised Steel, White powder coated, horizontally ribbed Hormann pre framed up and over door. To enable you to personalise your building, we offer a range of Up and over, Side Hung, Rollershutter and sectional doors. Lidget Compton offer perhaps the most comprehensive choice of wall finishes available. The standard Spar finish has been designed to blend with most properties, but for those customers who want something different, we have introduced our GB patented and unique Brick, Stone and textured finish. Our Sectional Brick and Stone finish is a factory applied finish, and is applied using our patented method to produce a unique option. Textured finish is site applied and tops the unique choice from Lidget Compton – the Best Concrete Garage. Our new textured double feather edged cladding boards offer an attractive timber effect finish, a great alternative to the traditional concrete building. As you would expect, we offer several different types of roofing. Each of our five basic SHAPES has a different roof, and there are colour choices within most of these options. 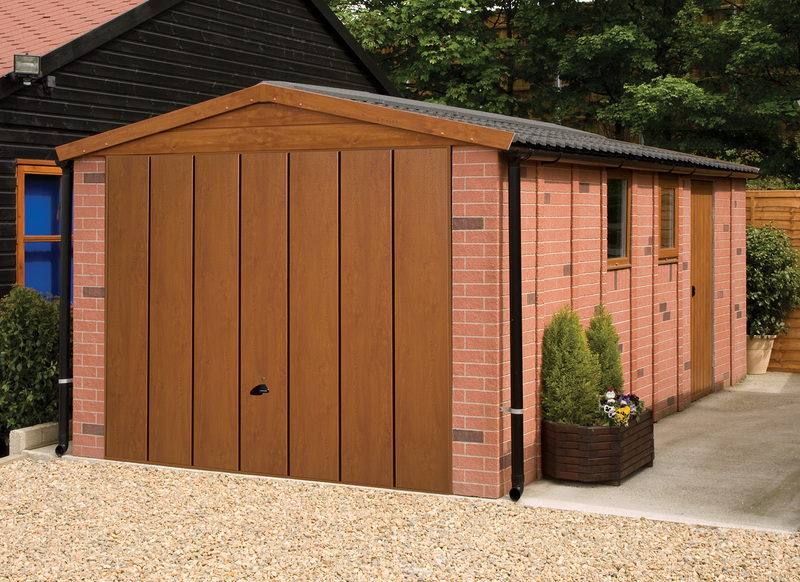 Personnel or side access doors give you the flexibility you need when designing your garage. A range of timber, steel or PVCu doors in varying sizes and styles are available for you to personalise your design. Using real brick slips, we offer this option to increase the kerb appeal of your garage. The fascia of your building is supplied in timber, as standard. Why not choose one of our maintenance free PVCu options? It doesn’t have to be white, nowadays – choose from Decograin in Golden Oak or Rosewood and banish those days spent in maintenance! All of our garages are supplied with a 4ft (1.21m) wide timber window, on standard 6’6 (1.98m) high buildings. 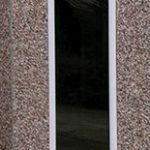 On 7ft6″ high buildings, standard timber windows are 3ft wide. Optional Extras enable you to personalise your building even further. A complete range of PVCu full height units is available to include on any of our buildings. Build them into a room added on to your garage – use a partition to create a room for whatever use you have, it saves money and space…. Our Garden Room range includes a double French door, and two full height glazed units as standard, size depending on the width of the model chosen.